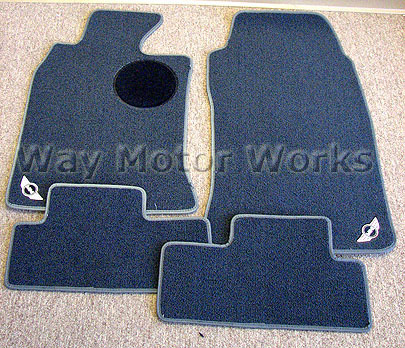 NEW R50 R52 R53 MINI Cooper and Cooper S floor black carpet floor mats. This is an OEM MINI set of 4 mats, 2 front and 2 rear with the MINI logo on them. These are a perfect fit set.